Neutrogena wanted to introduce their Light Therapy Acne Mask to the Canadian market (specifically among teenagers, millennials, and mothers of teenagers) by generating brand awareness and excitement. Blog Meets Brand hand-selected 15 high-reach influencers to generate testimonials, online buzz, honest feedback, and original content in the blog and social spaces. 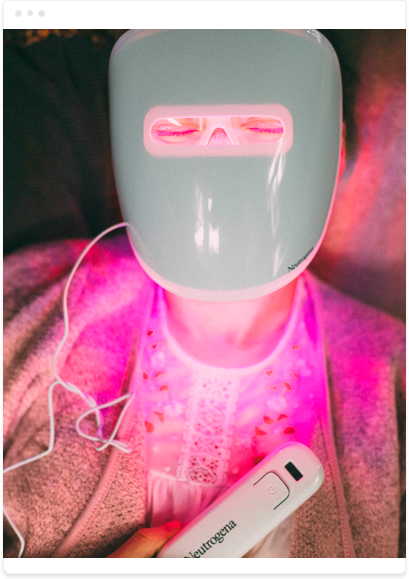 Influencers received the Light Therapy Acne Mask to try at home and were then able to create stylized photo shoots depicting the mask in a variety of creative ways that would entice other teenagers and millennials to try the product as well. Influencers reaching Neutrogena’s Canadian target market often went above and beyond to showcase the product in a variety of fun ways while clearly stating the benefits of the mask as well as its effectiveness.